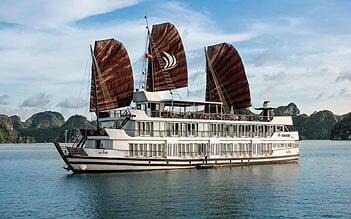 Starlight Cruise is the newest member in The Luxury Collection of the Oriental Sails Co., Ltd. 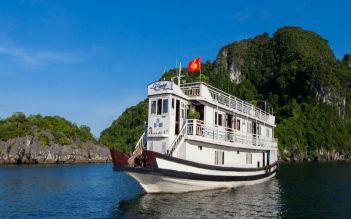 This five-star best Halong bay cruise features 32 spacious cabins with at least 22m2/each and becomes the most enjoyable way for those who wish to explore Halong Bay in grand style. With Starlight, cruising on the World Heritage Site is more than just a touring experience that we offer – it’s a passion that we are delighted to share with you. 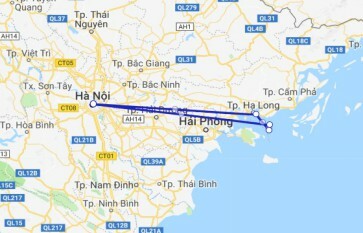 08:00 – 08:30: Optional pick-up at hotel and start the 3 hour-and-a-half drive to Hong Gai Tourist Wharf, check in Oriental Sails JSC’s private waiting hall - The OS Lounge. 12:15 – 12:45: Embark on main cruises by a transfer boat. 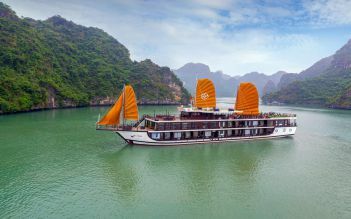 13:00 – 15:30: Savor a delectable lunch on Oriental Sails cruises’ restaurants further along the limestone islands of Bai Tu Long Bay, heading to the first place for activities. 17:30 – 18:00: Return to overnight cruises and have bath then relax as the sun starts to set. Enjoy the Happy Hour at the bar and on the sun deck while joining the cooking class with our chefs. 09:30 – 11:00: Head back to the Harbor. Have early lunch on board.Disembark the main cruise at around 12h00. Passenger’s passport is required to bring along the trip for overnight registration. Passenger’s personal information is required to send to reservation before departure. Great Cruise! The cruise is really clean, love the food, and the hospitality! Please improve english for crew and provide wifi in the room. Overall, great cruise! Thank you starlight cruise for a fabulous time. 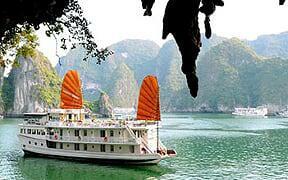 This is truly a most beautiful place, Halong Bay is one of the places everyone should go. Loved the cooking lesson had a great time making spring rolls, happy hour was so much fun . The Tai Chi on the deck before breakfast was very enjoyable. The food was great they really looked after my wife who has severe allergies. Thank you Starlight Cruise your staff are the best. The Starlight Cruise was very good. Started off on the right foot by our hotel limo pickup. The limo was new, comfortable had WiFi and very friendly staff. The boat was beautiful and course after course of delicious food. Tommy our host was fantastic and really made this holiday special. I would highly recommend this tour and hope you get Tommy as your host. 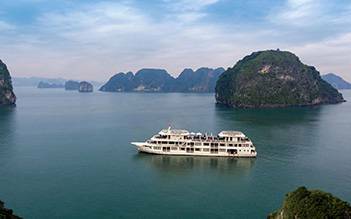 Trip to Vietnam to start the year, just became awesome with mesmerising view, scenery and Kayaking experience amidst the Bai Tu Long bay with Starlight Cruise. Awesome! Hospitality and food (Vegeterian/Non-vegeterian)with fun activities like kayaking through floating fishing village, Pearl farm, Squid fishing, Karaoke night and finally to call it a day; nothing like Jacuzzi and good clean rooms. Our guide Jackie as in Jackie chan(not his real name..) though was very helpful and Informative on our way to cruise from hotel with history of Hanoi city and Vietnam. Good experienced with starlight cruise for 2 days 1 night. I enjoy the actives held by the cruise such as the fishing and cooking it was a memorable experience I could never forget as I manage to learn new delicious recipes. However I would appreciate if the room were organised a little bit better as it was a bit messy. I also hope that u would do something about the loud sound of the jacuzzi as it disturbed those whom want to sleep when others want to enjoy in it. All in all in was a good experience…Thank you.